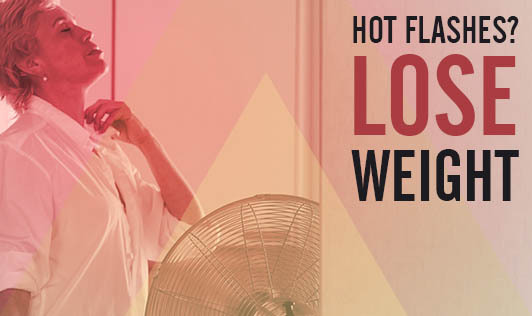 A new study published in the Archives of Internal Medicine has connected hot flashes to weight. This study which followed a group of overweight and obese women saw that many women who lost weight and decreased their waist circumference, found improvement in their hot flashes and felt better. Though it's unclear why overweight women seem to suffer from hot flashes more than normal weight women, weight reduction might help in controlling or reducing the problem. Yet another reason to knock off the excess weight!